The multiplayer competitions in Grand Theft Auto Online tends to happen in big, spread-out sections of Rockstar’s fake Los Angeles. But the newest ways to take out fools in the online version of Los Santos happens in tightly confined spaces, making for quick, spectacular sessions. Every Bullet Counts—the new player-vs-player Adversary Mode option that hit GTA Online yesterday—reminds me a bit of Manhunt, the creepy controversial stealth action game that Rockstar put out in 2003. 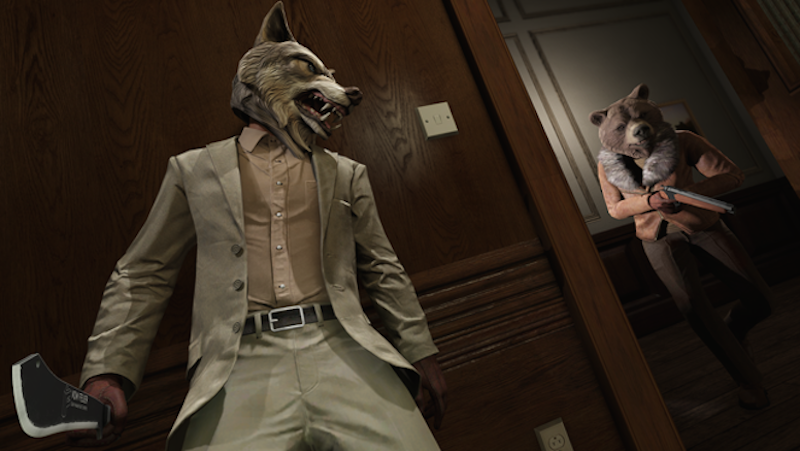 In the new mode, four players hunt each other down in the interior and exterior sections of places like a house or a bank vault, armed only with a firearm that has two bullets and a melee weapon. If you stay still for more than five seconds, your position gets revealed on the radar for your opponents to see. Keep moving and no one will be able to see where you are. With three people to kill and only two bullets, you’re often pushed into tense track-and-bash melee confrontations. Seeing strategies evolve in this mode is fun, too. Some players decided to stay still and bait others to coming near them, while others chose to explore and risk unexpectedly running right into someone pointing a gun at them. I might play some more Every Bullet Counts soon, just so I can die early and watch the survival tactics of better players.